How Long Will The Precor TRM 445 Precision Last? Someone who is training for a marathon or into serious exercising is right to look for treadmills in this price range because of the quality that they are built with. The Precor TRM 445 is no exception. Expecting a treadmill such as this one to run well for many, many years is like expecting SNL to make a Trump joke. With a face like that, Trump should be fully aware that his presidency will be filled with many toupee and Botox jokes. Likewise, with a build and level of quality that the TRM 445 has, a heavy user should expect many years of good use. Though it is hopefully a given, please be sure to take proper care of a machine that costs this much. Any treadmill will perform better when kept in an ideal environment. But, with this high of an investment, the heartache would be much greater than if you broke a treadmill that is only a few hundred bucks. Not many people buy a brand-new Mac Book Pro just to beat it to death. Similarly, please know that you will receive the most bang for your buck if you know how to properly care for your treadmill. We have actually had a difficult time finding too many things wrong with the Precor TRM 445. We do feel that there is a slight imbalance between the substance a style. The TRM 445 does not have a console with web accessibility like many of the other treadmills in this price range. Even still, the TRM 445 has come into this year with a strong build, good warranty, added features, and an adjusted price which, overall, adds up to a respectable treadmill. Accordingly, we have named the Precor TRM 445 our 2019 Best Buy First Place Winner in the $4,000 to $5,999-dollar category. A large portion of the TRM 445's price tag stems from the Precor name. The Precor company, like many of the other brands in this price range, offers access to a reputable customer service department as well as access to many trained technicians. This caliber of service adds to the value of the warranty. The TRM 445 comes with a ten-year-parts, three-year console, and one-year labor warranty. As it compares to other warranties in this price range, this type of coverage is slightly above the average. In regard to the features that come with the TRM 445, this treadmill has a strong, quality build that will more than likely prove to be very durable. Also, the belt is twenty-two-inches wide and fifty-six-inches long. While this is not the largest belt, the TRM 445's belt is wider which is a perk if you like a little bit of wiggle room. Also, the Precor TRM 445 comes with the ability to decline to two percent. Though we are a little fearful of the less graceful users who may end up with a few face injuries, this type of incline is not common and indicates a valuable feature addition. One of the only drawbacks may be the console and the lack of technology. While the screen is a good size and is not a simple LCD, someone cannot use it to surf the web like some of the other consoles in this range. Still, the TRM 445 does have twenty-three built-in workouts which are a lot considering that the other top four treadmills top out at eleven programs. Though you may not be able to use the treadmill to watch Youtube during your run, you can enjoy a decent tablet holder. We like how you can still see your screen and workout data while the console secures your tablet or book. Also, Precor extended the console to provide a backing for your tablet so that your device has less likelihood of falling and breaking. The only negative aspect about the tablet holder, however, may be that your tablet or book is either too large or too narrow to be secured between the brackets. Even still, we are only talking about the tablet holder. Hopefully, your decision to spend thousands of dollars on a treadmill is not dependent on the functionality of its tablet holder. Previously, we have awarded the Precor for its good build and quality features. 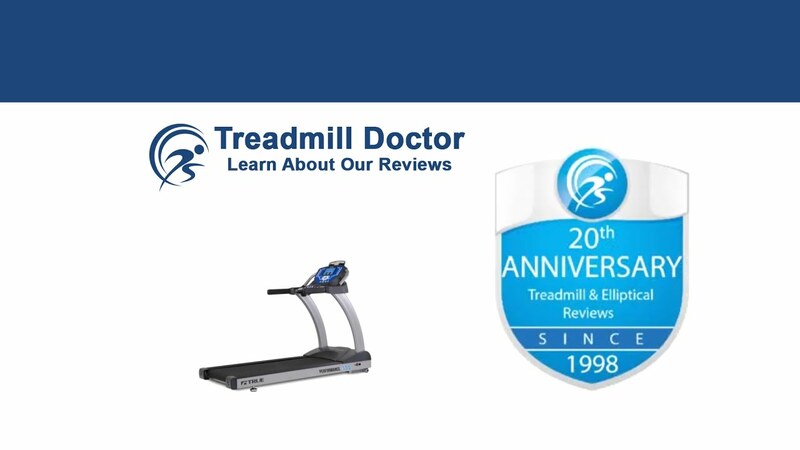 We have awarded the TRM 445 for years and named it the best treadmill in 2015. The only major complaint that we have had is the price. We have feared that pricing this treadmill at $6,000 dollars could price it out of the market. Overall, the Precor TRM 445 has a well-built structure that combines a strong build with high-quality features. While the console does not have many web-based abilities as some in this price range, the functionality of the TRM 445 is still at a high level. Subsequently, our 2019 Best Buy First Place Winner for the $4,000 to $5,999 dollar range is suitable for a heavy runner. Thanks for reading our Precor TRM 445 review.